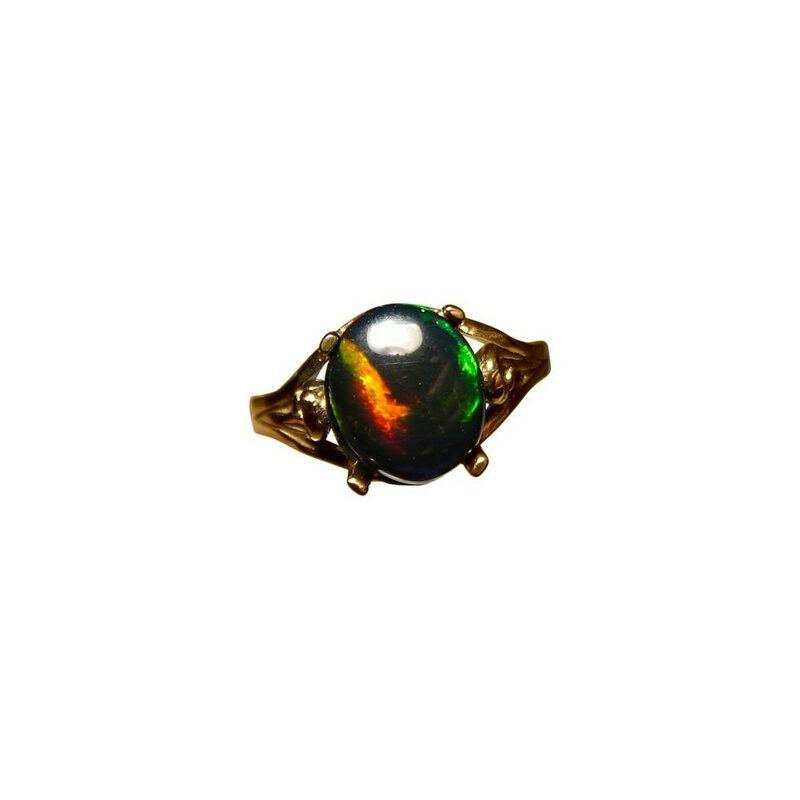 A solitaire Welo Ethiopian Opal Ring in 14k Gold with a 1.9 carat oval natural Welo Black Crystal Opal with bright Red and Green colors. 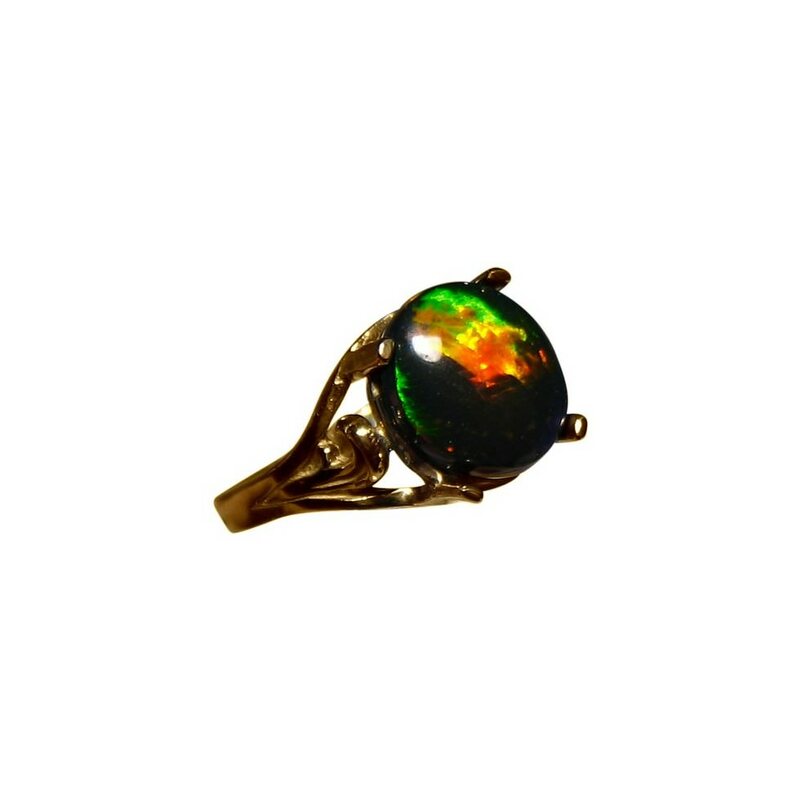 An Ethiopian Black Crystal Opal ring in 14k Gold with bright colors and a good size Opal. Australian Black Opal is well known and deservedly so. Ethiopian Opal is new to the market and is becoming increasingly popular to lovers of opal. Black Opal from Ethiopia has been advertised more recently but the question is, is it natural? 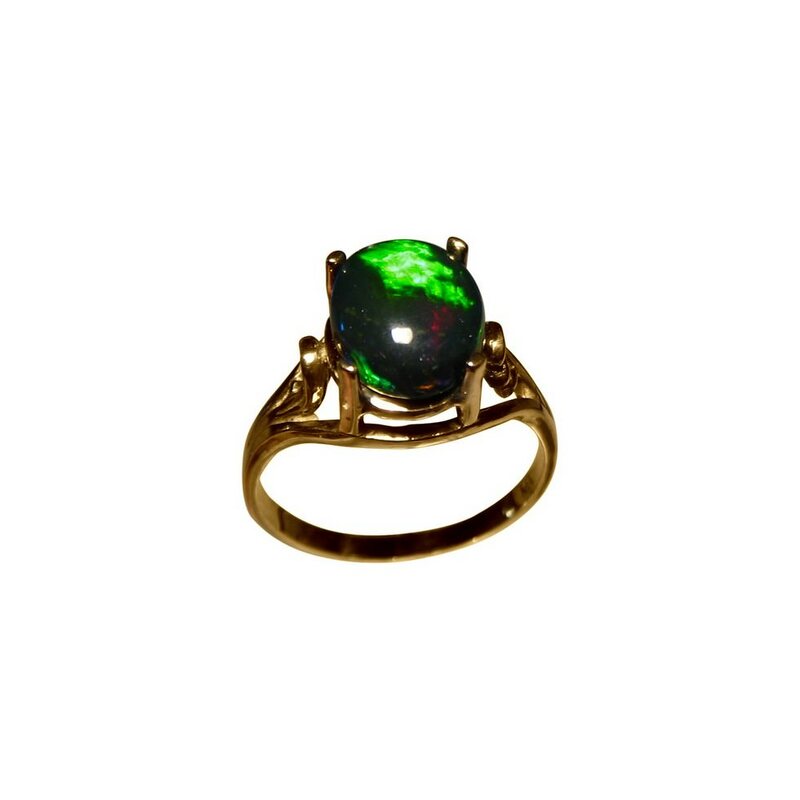 You will find information on this on the Opal Information page and based on further research, we offer you this Natural Welo Black Crystal Opal Ring. 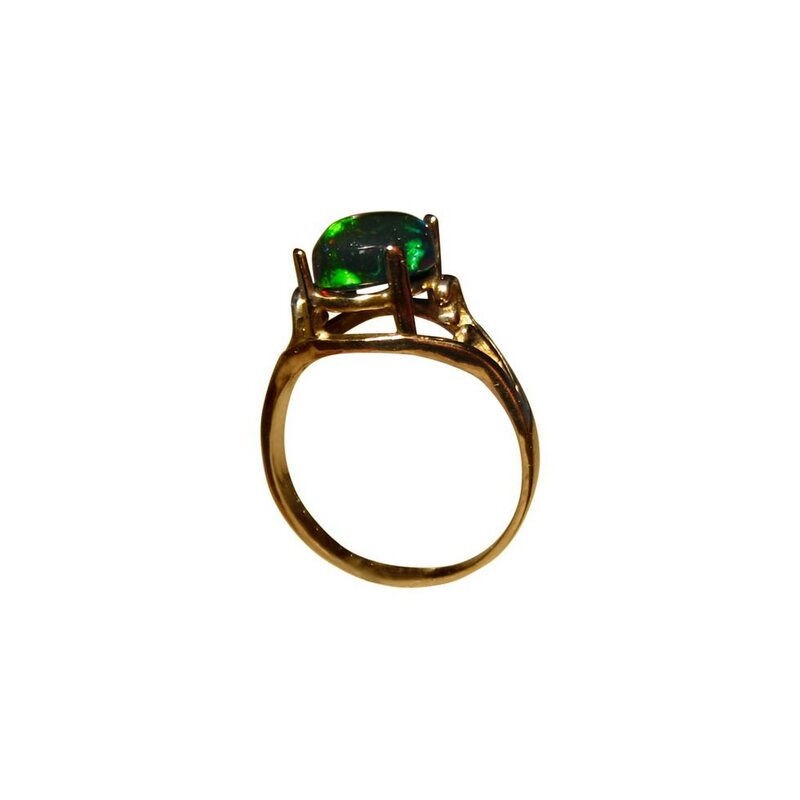 Shown in a 14k Yellow Gold Ring that is a simple style to show off the oval stone with bright Green and Red. It is a stone with depth - dark and rich - that is intriguing as Ethiopian Opal is. 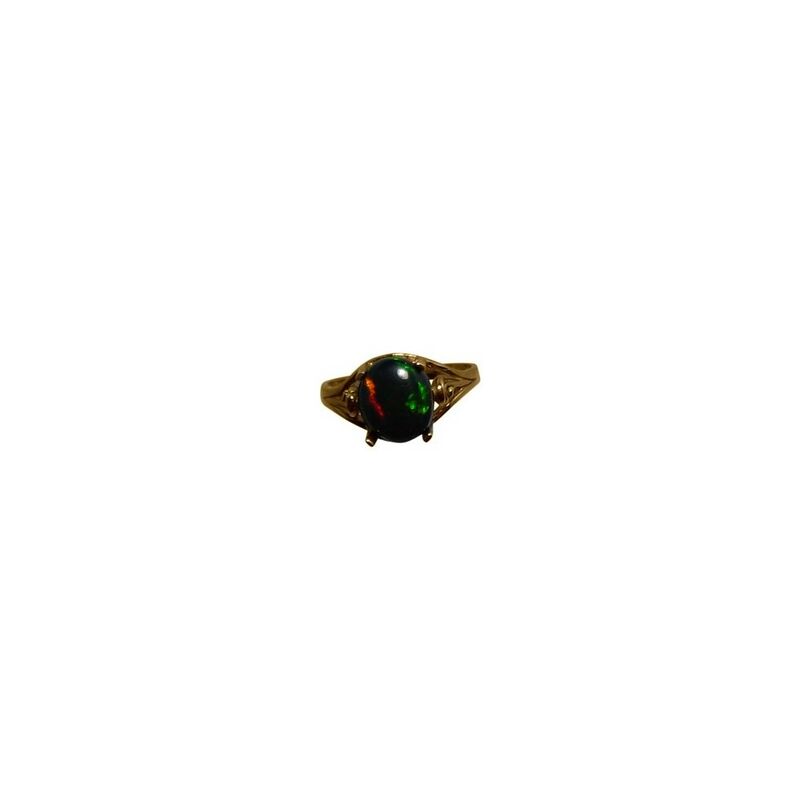 This ring was made due to the increasing interest for Welo Black Opal. The information provided on Black Welo Opal states some are not hydrophane - do not absorb water - however, this opal DOES absorb water so please read how to Care for your Welo Opal Ring before considering to buy. This ring is available to purchase as advertised or in any ring size or 14k Gold color preference. If you would like to see this stone in a different setting more to your taste, contact via this product with your inquiry.